That formula will help Brumit, founder of Brumit Restaurant Group (BRG) in Asheville, North Carolina, achieve an important milestone this fall: he’ll open his 50th restaurant. Brumit’s passion for restaurants began in high school when he worked in the local Oakridge, Tennessee, Burger Chef in 1968. There, he mopped the floors, cooked, and worked the counter. Brumit quickly rose through the ranks, but was eventually recruited by Burger King and then again by Hardee’s. When a former colleague smartly asked Brumit to become the operating partner for a group of 13 Arby’s restaurants, he said yes and never looked back. This year, Brumit will open six new restaurants and remodel six existing restaurants with even more on the way. “We’re currently working on about 10 to 15 new sites, and we’re continuing to look for growth markets,” says Brumit. Thanks to growth-focused franchisees like Brumit, Arby’s is on track to achieve $4 billion in global system sales by the end of 2018. At the close of the second quarter, Arby’s U.S. system achieved 27 consecutive quarters of same-store sales growth and average unit volume reached $1.13 million – an increase of 23 percent from four years ago. Brumit has always been one to count his blessings and shares Arby’s commitment to serving the community. Through the JoyFULL Holidays at Home program – a spinoff of the brand’s powerful “No Kid Hungry” campaign – BRG provides free Arby’s meals to children in need at his restaurants during the holidays. BRG also works with Eblen Charities to give groceries to children to take home during long weekends, extended holidays, and spring and summer breaks. BRG’s investments in Arby’s and its commitment to its guests, team members, and the community, have not gone unnoticed. 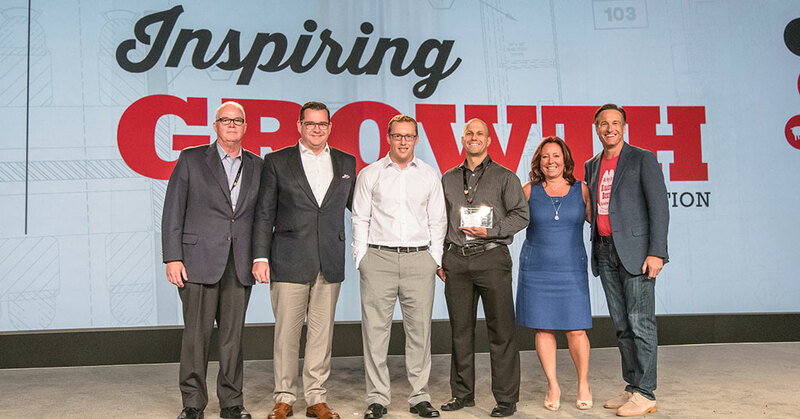 The company was presented with Arby’s top honor at the brand’s 2016 Worldwide Franchise Conference: The Inspiring Smiles Franchisee of the Year award.